Although Women’s History Month only comes once a year, year round the SBA works to improve our outreach and services for women entrepreneurs, and to identify opportunities to empower women entrepreneurs to start and grow businesses. As a part of this effort we continue each year we counsel and train roughly 500,000 women through SBA’s extensive resource partner network, including our Women’s Business Centers. We also are committed to continuing to identify opportunities to the challenges they continue to face. As Assistant Administrator for the Office of Women’s Business Ownership, I have met women entrepreneurs around the country and they’ve told me about the challenges they face including access to capital, access to markets, and limited resources to scale their businesses. To address these challenges, SBA continues to work with the National Women’s Business Council to identify opportunities to empower women entrepreneurs as they access capital, access markets and to take their businesses to scale. Let’s start with access to capital. SBA continues to help provide access to capital opportunities for women. More than 25 years ago, women still needed a male relative to co-sign a loan for commercial credit. We’ve come a long way. Between January 2009 and December 2013, SBA made 57,831 loans worth $17.2 billion to women-owned businesses. In 2013 alone, SBA made $3.8 billion in capital available to women, a 31% increase since 2009. SBA has also improved its policies around underwriting loans worth $350,000 or less, which will allow for more loans to women-owned businesses. This is important because among nascent women-owned firms with employees, over 50% started with less than $10,000 in capital. When looking at self-employed women (i.e., those without employees), that percentage soars to 89%. Across all women-owned businesses, this averages out to 84% that start with less than $10,000. However, among women-owned firms that received loans from the government, only 25% started with less than $10,000. And among firms that received government-backed loans, such as SBA’s 7a program, only 10% started with less than $10,000. Women are accessing more capital, but we can still do better. Although we’ve worked hard, there is more to be done. We look forward to leading the charge to help even more women entrepreneurs by bridging the gaps and creating more business-to-business partnerships that support entrepreneurship for women. 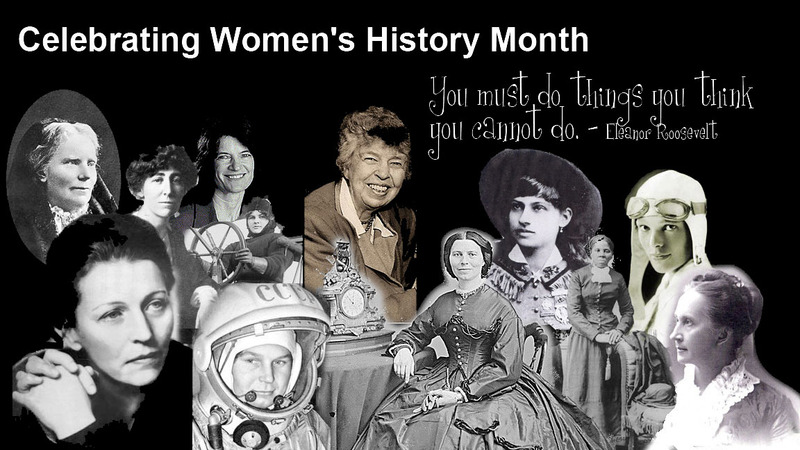 Women’s History Month is an important celebration and we are thankful to the many strides women have made. However, we plan to make this a commitment that goes beyond the celebration of one month. We need women entrepreneurs to thrive with their diversity of product in the government market space, we need them to grow with additional opportunities for access to capital and we need them to scale their businesses to create jobs and fuel the American economy. Please join us this month and throughout the year as we move the needle forward on empowering and growing women entrepreneurs as they strengthen America’s economy.